Phyllis Fasel concentrates her practice in general business and real estate law. She provides legal advice to new and experienced business owners in entity structuring, ownership issues and day-to-day operational issues, while handling sophisticated business, real estate and financing transactions. 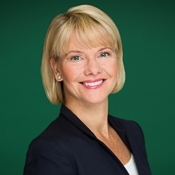 Her transactional experience includes business acquisitions and divestitures; acquisition and disposition of commercial, retail, vacant and mixed-use real estate; contract negotiation and preparation with third parties on a variety of topics; and performing various intellectual property services in the form of trademark searches and registration services, preparing and responding to cease-and-desist letters, and drafting and negotiating a variety of confidentiality agreements for prospective business partners and employees. Phyllis also provides legal advice and representation to clients in transactional aspects related to the sale, purchase and leasing of aircrafts. Prior to law school, Phyllis received a Masters of Public Administration (MPA) from New York University. An MPA degree provides training in the area of public policy and project/program implementation, focusing on public administration at the local, state and federal level, as well as the not-for-profit sector. This type of educational background provided Phyllis with an understanding of how to approach many of the client situations encountered in her practice today, with requisite counseling, guidance and other problem-solving approaches. Phyllis has served on Chuhak and Tecson's Quality Committee, Finance Committee and Associate/Paralegal Oversight Committee. She is currently a member of the Professional Education Committee.